Avicenna, the most influential of Islamic philosophers, produced The Healing as his magnum opus on his religious and political philosophy. 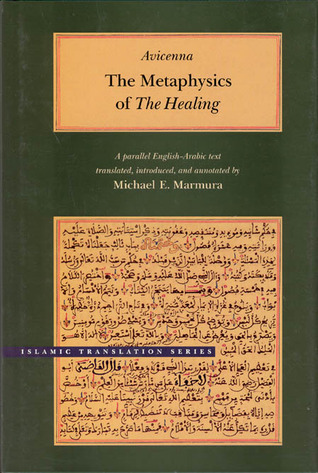 Now translated by Michael Marmura, The Metaphysics is the climactic conclusion to this towering work. Through Marmura’s skill as a translator and his extensive annotations, Avicenna’s touchstone of Islamic philosophy is more accessibleAvicenna, the most influential of Islamic philosophers, produced The Healing as his magnum opus on his religious and political philosophy. Now translated by Michael Marmura, The Metaphysics is the climactic conclusion to this towering work. Through Marmura’s skill as a translator and his extensive annotations, Avicenna’s touchstone of Islamic philosophy is more accessible than ever before.In The Metaphysics, Avicenna examines the idea of existence, and his investigation into the cause of all things leads him to a meditation on the nature of God. From this discussion, Avicenna develops a theory of divine causation that synthesizes Neoplatonic, Aristotelian, and Islamic ideas. Within this emanative scheme, Avicenna establishes some of the basic ideas of his religious and political philosophy, as he discusses the divine attributes, divine providence, the hereafter, and the ideal “virtuous” city with its philosopher-prophet as the human link between the terrestrial and heavenly realms. With this edition, The Metaphysics can now be better seen as one of the most masterful works of classical Islamic philosophy. Awesome, totally beyond the scope of anything I have read in the field of Philosophy and Metaphysics. I was humbled at times due to the sheer brillance of Ibn Sina's concepts and the ways in which he explained them. Makes your ponder the universe, reality, and humanities place in it all. I can see why Imam Ghazali reacted to it in a negative way, and why it took Ibn Rushd to defend its right to be understood and respected in the annals of Islamic theology/philosophy.